After this week we'll be starting up two new sealed leagues so be on the lookout for that! I personally can't wait to see new pools and use the knowledge I've gained from these leagues to do good things with new pools. With that said let's finish up our leagues! 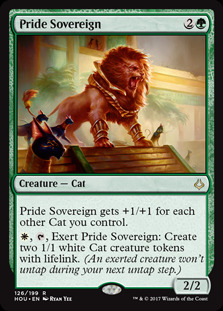 I'm not entirely sure Pride Sovereign is a first pick when I made the pick and looking back on it I would have been better off taking Desert's Hold instead. It's a good rare, but it's not a first pick rare nor is it better than Desert's Hold so now I know for sure that I made the wrong pick. I did it for science, because you're more often than not going to play your first pick and this is an easy way to see if the card is good. Looking past that pick I had the right idea (play red and white) but the mistake I made was trying to force green into the picture. The packs made it clear that a RW deck was open for the taking as evidenced by double Vizier of the True , but I had my head wrapped in green so I wasn't able to see that clearly enough. It did manage to get me to play Heaven/Earth and I'm happy I got to do that, but the correct call in hindsight is to have been a RW deck from the start. Had I taken Desert's Hold I likely end up in RW instead of GWr and while I don't know if that would have been better, it would have been the more correct option. The way the games played out it seemed like I needed to draw Heaven/Earth in order to have a chance at winning, and if I didn't draw that card I was pretty much guaranteed a loss. 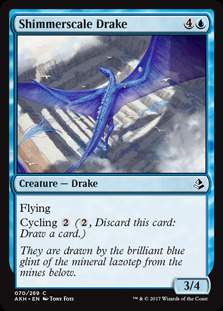 My deck played out a bit like a midrange deck but it didn't have any synergy or cohesion to give it more power. Instead it was a mix of random cards in my colors with the plan of hoping it worked out. Sometimes it did, but more often than not it did not pan out. I did make a mistake in one of my matches when I waited an extra turn to use Heaven/Earth and took 9 damage because of it. My thought process was that I wanted to be the first one with creatures in play after I cast Heaven/Earth, but the way my opponent was playing it, they weren't going to commit too much to the board and I should have noticed that. 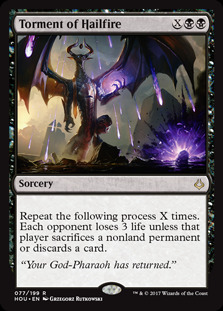 In practice Heaven/Earth is quite a powerful card and not something I would have drafted in triple Amonkhet, but I'm happy I did so now. I didn't think the card was good then and I was wrong about that, and I'm happy I can learn from my mistakes. With a 1-2 record this draft we're at 4-7 in Hour of Devastation draft and it's not looking so well. 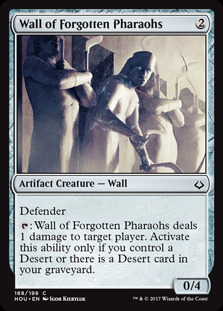 Amonkhet had me in a funk and it seems to have continued here. Can next week be better? Not much to say about the match other that I got destroyed completely. It just didn't end up working out even though I thought I had a nice BR deck. Looking back on it, I was playing a lot of okay creatures and didn't have staying power in the late game, nor did I always have a strong aggro start to try and win that way. My deck was just average a lot of the time and you can't really do that here. Unless you're able to push your advantage early and often, you're going to lose to the bigger/normal things people are doing. 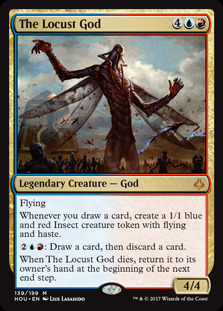 Splashing for The Locust God didn't end up costing me anything, but I only cast it once I believe and I lost immediately after I did that. At 1-3 with no prizes for winning the last round I decided it was best to just end the league. I wasn't unhappy with the deck but I am unhappy with the result. I really did think it would do better than a 1-3 given my curve and the few removal spells I have to get early blockers out of the way. 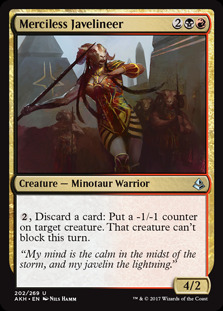 Merciless Javelineer was likely the best card in my deck given the potential it has to remove blockers and give you an edge if you're racing. Heading into the last three matches at 3-3 I thought I had a decent shot at making at least 5-4 or 6-3. I won my first match in a marathon affair that saw me win both games by casting Torment of Hailfire for the win. Those two games showed how controlling the deck can be, and given enough time, out card the opponent and have access to my finisher when I need it. The next two matches for me ended in defeat and it's one of those things where if I don't get the right setup, I'm going to lose. 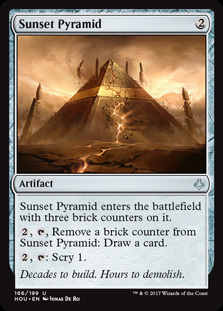 I need early blockers, my Sunset Pyramid , and a Bontu's Last Reckoning should I have to cast it. I basically need the game to be slow and I can't face constant pressure otherwise I will just die. The way I constructed my deck I'm very much disadvantaged when I'm behind because I don't have enough creatures to reliably have blockers. 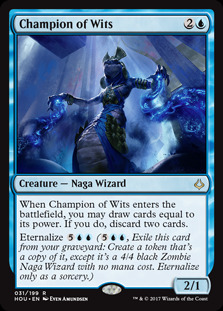 I tried out Champion of Wits for the last three games and it didn't impress me at all and was likely a mistake to play, but at least I didn't double down on the mistake and take out my Shimmerscale Drake for it. That would have been much worse for me in general and in practice. 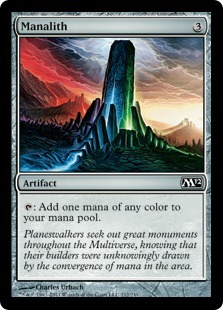 The deck was a little on the greedy side in terms of the manabase, but it proves that you can be more than two colors in this format should you need to be. 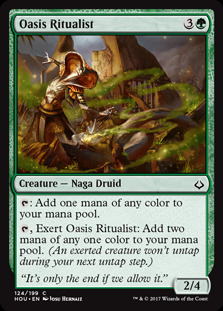 Oasis Ritualist and Manalith really allow you to play more mana than you normally would and can add cards of other colors into your deck to make it more powerful. I like green as a color in Hour of Devastation and I'm glad I got to try out the deck even if it didn't have a winning record overall. 4-5 gave me 70 play points which will just be used to add packs in our next league. We've been doing a lot of losing and I'm not too sure what the problem is. 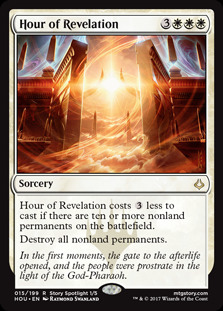 I had a tough time in Amonkhet and Hour of Devastation seems to be no different, and I don't know what the cause is. Are we having bad pools and packs or are we not understanding the format enough to have at least a 50% win rate? I think it's a combination of both bad luck and not enough knowledge about the format. With time one of those will get fixed but the other one is really up to chance. I know I remember not being impressed at all with my pools in Amonkhet and things appear to be the same here. I know I sound like a broken record with 1-2, 1-4, and 4-5 records but hopefully next week is better. If you have any comments, questions, or concerns leave them in the comments section below. You can subscribe to my YouTube channel here where you'll see all the videos in this column much earlier as well as additional content exclusive to the channel. 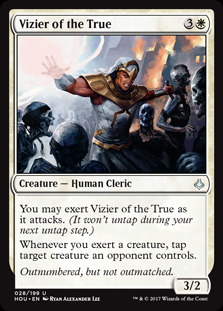 I've been playing Grixis Control in Standard and will continue my budget Commander gameplay series relatively soon. Come check out the fun! Next week I'll be back with two new pools and a new draft league.